The weight of machine: 1,235 lb., Rotor weight: 216 lb., Rotor diameter: 29 in. Victory’s BXH-712 is a Heavy Duty PTO driven Wood Chipper (tree shredder) with a self-contained hydraulic infeed system. This powerful machine with its Tractor Independent Hydraulic Motor & Controls was designed for professional wood processing and reliably chips wood up to 7 inches in diameter. The compact BXH-712 is suitable for your tractors between 40-100 HP, utilizing your CAT I or CAT II 3 Point Hitch. The fully assembled machine weighs 1,235 lb. and has a 29″ (diameter) flywheel (rotor) which weighs 216 lb. The Hydraulic powered infeed system of the BXH-712 pulls the wood into the tree shredder by two rollers. The safety stop bar clears wood jams when switched into “reverse” gear. The adjustable speed helps to properly apply the tree shredder’s performance to wood type and size. Your tractor’s performance dictates the thickness of the material and the volume of material you will be able to process. 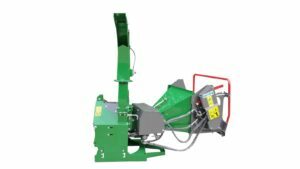 The large opening of the input chute (30” x 42”) allows for larger branches with leaves to be fed into the chipper without causing jams. You control speed and volume with the safety handle. 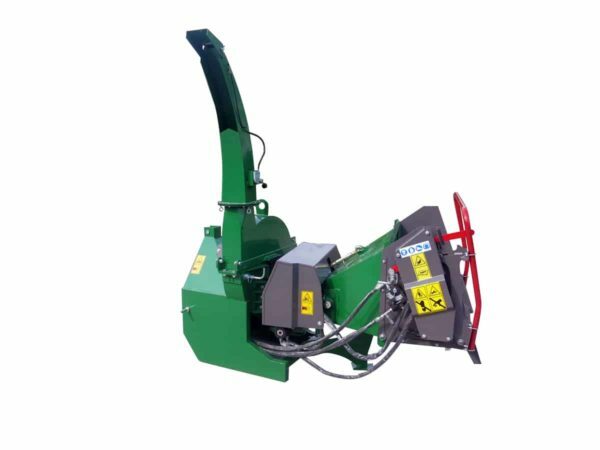 Victory’s BXH-712 chipper complies with all tree shredder safety regulations and are CE tested following the 2006/42/EC machine directives. For more details please see the features below and take a look at the Technical description. The partially assembled machine does not contain any fluids or grease needed for operation! BEFORE USING THE MACHINE please consult the owner’s manual. Max. Trough Put Capacity 5 in. 7 in. Variable infeed speed 0-75 ft./min. 0-95 ft./min. Rotor (Flywheel) Diameter 26 in. 29 in. Rotor (Flywheel) Weight 132 lb. 216 lb. Machine (gross) Weight 845 lb. 1,235 lb. Shipping Weight 890 lb. 1,294 lb.